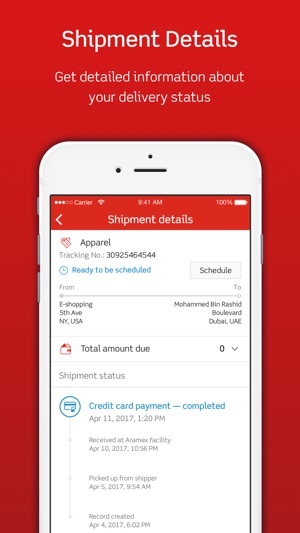 Aramex app allows all Aramex customers around the world to manage their entire delivery experience using mobile phone. 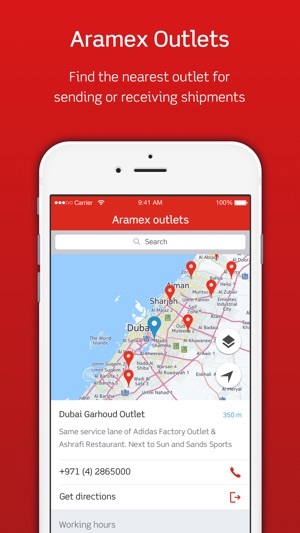 • QR Code for Aramex Lockers feature. يسمح تطبيق أرامكس لجميع عملاء أرامكس في جميع أنحاء العالم بإدارة التسليم والاستلام بالكامل باستخدام الهاتف المحمول. 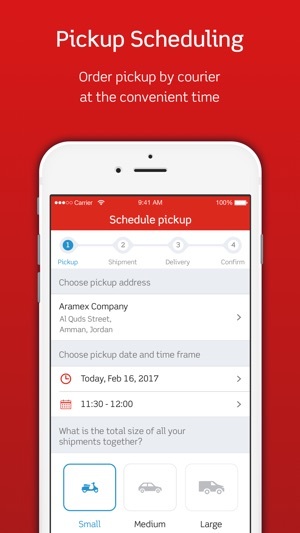 • ميزة الرمز المربع (رمز الاستجابة السريعQR Code ) لخزانة أرامكس. 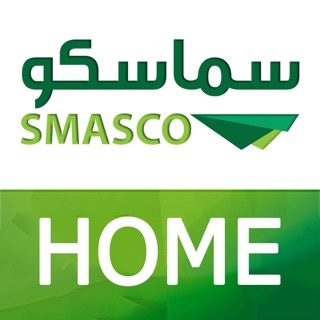 • تم تطبيق بعض الإصلاحات والتحسينات. 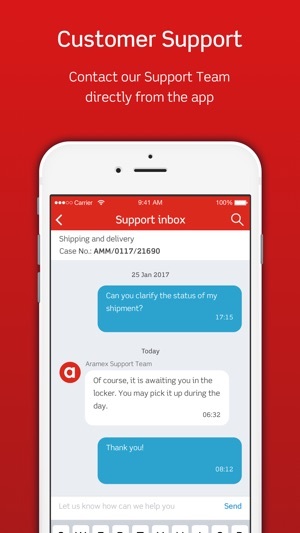 This app is crashing whenever I am clicking on Customer Support Button and choosing Category , plus I updated new Primary address for Delivery but it is still showing the old one on the Upcoming shipment. 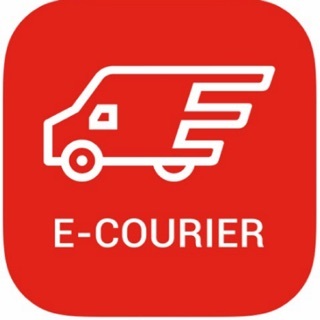 The delivery people are so rigid that they straight away refuse to deliver any new location and finally I have To collect it from your office , on the other hand I would be reviewing bunch of emails to pay in advance and your delivery services are so pooor. 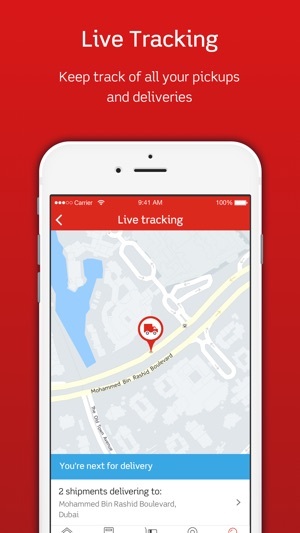 I am very satisfied with the excellent service both of this app and Aramex fast delivery. It is hassle free and gives continuous updates. 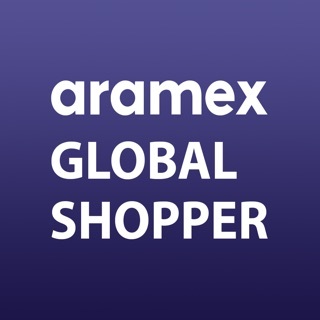 Thanks so much Aramex. You are the best for me in every aspect: fastest delivery, courteous staff, detailed updates, etc. Keep up the good work! They ask you for feedback and have a contact support option for just wasting your time. I’ve asked to be called regarding different issues and no one gave me a call, heck even the driver just drop the packages and leaves without calling and sometimes I get delivery failed notification “for unknown reasons” of course and no contact from support or the driver.